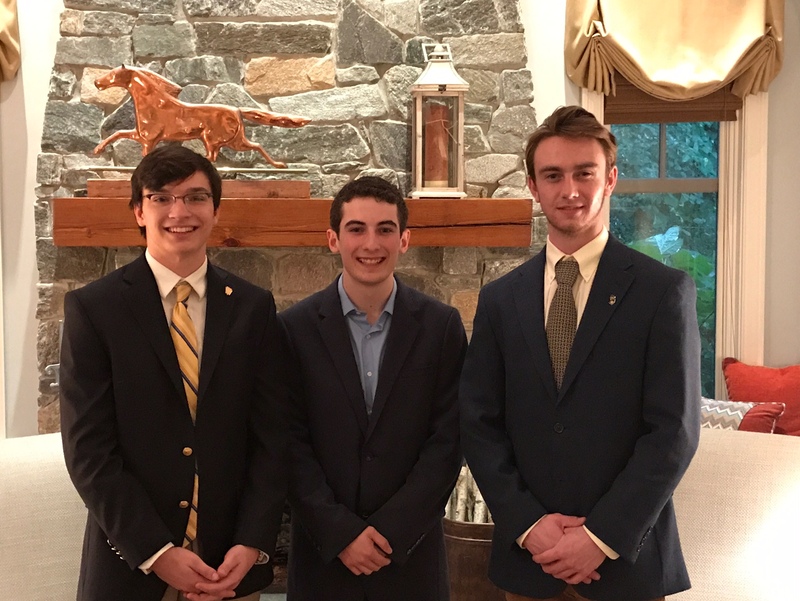 WESTFIELD – Three Westfield High School graduates, John Sanders, Douglas Smith and Michael Rodriguez, were awarded a total of $60,000 in scholarships by the College Men’s Club of Westfield at the home of Terry O’Connor on June 19, 2017. This is the second year in a row that the College Men’s Club has given away at least $60,000. John will attend Rutgers this fall and plans to study engineering. His interests in high school included playing in the jazz band and scouting, as well as tutoring younger students in science and math classes. He has two older brothers who are in college. Doug will attend NYU and will study economics and computer science, with an eye towards business school in the future. He graduated from WHS in 2016 and spent part of his freshman year in college at Texas A&M in the ROTC program. Michael is the first of his family to attend college and he will start at George Washington this fall. He is interested in studying criminal justice and psychology. He was involved in student government and theater at WHS. The College Men’s Club is an all-volunteer organization that was founded in 1922 by a group of college graduates who wanted to provide money for higher educational opportunities to deserving young men in the community. It has raised over $1 million in scholarship money in its history. The Club has helped many students with financial need, particularly those who might not otherwise be considered for assistance. Students who are struggling with life issues, or need to work after school to help support their families, gain special consideration. The Club looks closely at those who need the extra help, yet have a strong desire to attend college and succeed in life.